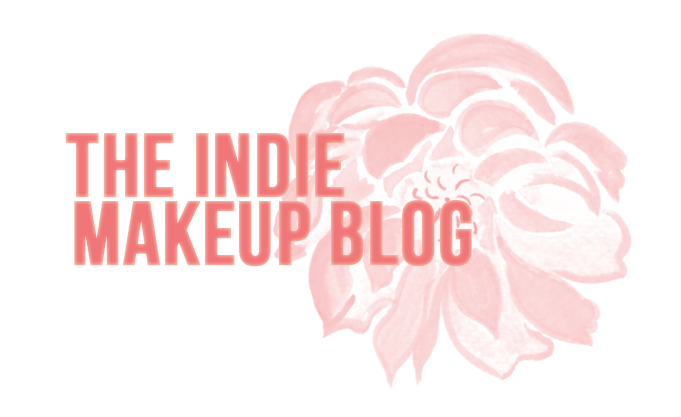 Today I will be discussing my thoughts on the second half of my Brija Cosmetics haul. I reviewed and swatched their Harry Potter collection here in case you missed it. In addition to the Harry Potter collection, I also purchased their Hula Hoop Bronzer, Antagonist Lipstick, and A Party Dress eyeshadow mini. Brianna included two shadow samples as freebies with my order. If you are interested in picking up anything from Brija, they are offering a 20% off coupon on their lip products with the code "birthdaylove". The sale ends today which is why I wanted to get this post up. I emailed Brianna and asked her what is popular in her shop and she told me her Hula Hoop Bronzer is a big seller, as well as her lipstick in Unfortunate Souls. 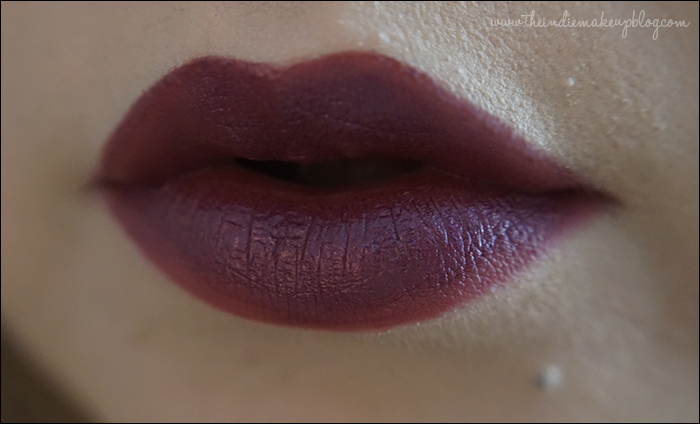 I wanted to pick up that one as well as their Syntax lipstick (a cool dark burgundy with a green shift, looks a lot like Mac's Blue Brown pigment in a lipstick form) but ultimately decided to just try one and went with their lipstick in Antagonist after seeing a fellow blogger look amazing in it here. Just as a note, everything on Brija's website is vegan. Antagonist is a deep purple with a magenta tint and a subtle blue duochrome. The lipstick comes in a slim angled black tube and contains castor oil and olive oil. 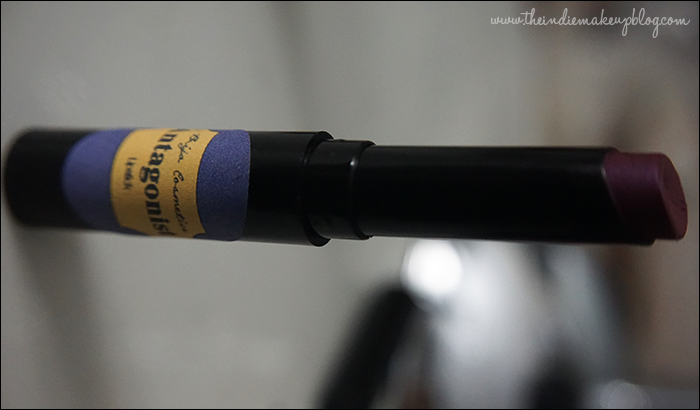 The slim angled tube is great for getting a pretty precise application. The formula is touted to be almost matte with a bit of creaminess to ensure a comfortable, long-lasting wear. After wearing it yesterday, I would agree with most of their claims. The formula is not a full matte, there is definitely a bit of slip in it which helps with hydration, but not enough where it slides all across your lips as you wear it. The lipstick is indeed comfortable to wear and my lips didn't feel dry at all while I was wearing it, which is very refreshing as most deeper shades have a matte formulation or are liquid mattes. What Antagonist looks like on my lips. I overdrew my lips a bit so you could see how my natural lip color effects the pigmentation since they are pretty pigmented naturally. This also gives you an idea of how it would look like blotted down since I didn't apply it as heavily towards the edges. If you ever tried any of Performance Colors' (RIP) matte lipsticks, the formula feels similar. The lipstick is an interesting color and the blue duochrome, though subtle, is noticeable in direct lighting. I really like it on my skintone. The only drawback is that the lipstick isn't super long-lasting. It stayed on well for about 3 hours but when I ate some Tortilla Soup for dinner, the color had disappeared. I had a strong suspicion that would be the case as the lipstick is not a full matte and honestly, I'm okay with that because the formula is so comfortable. I always wear a lip liner under darker colors and that should help with the staying power. I plan on picking up Unfortunate Souls, Syntax, and Tease next! Hula Hoop Bronzer applied heavily. My inner arm is very fair, while my face is about two shades darker. 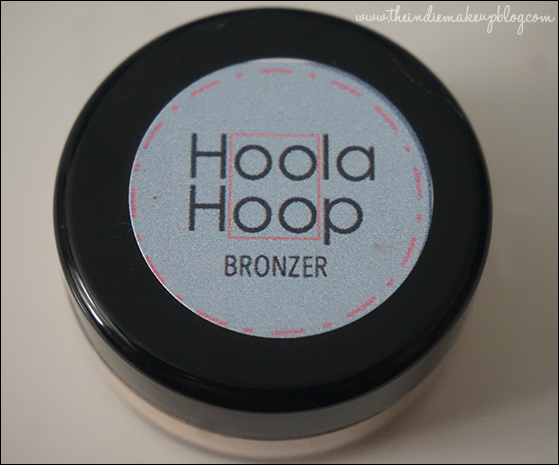 Moving on to the Hula Hoop Bronzer, it is touted as being a dupe for Benefit's Hoola Bronzer, a cult favorite. It's a light brown on the warmer side. It's a bit too warm to use for contouring but it does add a lovely warmth to the skin. They offer it three different sizes - sample bag with 3+ uses, a 10g jar, or a 25g jar. The powder is smooth and finely milled and comes encased with a sifter. The color also seems to be a good shade to warm up the complexion however I literally cannot see it on my face. I consider myself pretty light with yellow undertones (a tad darker than an NC15 on Mac's scale, Nars Gobi is a perfect match). I was actually surprised that the powder is too light for me, as I usually have the opposite problem! I suppose it's my fault since the description does say "for very light skintones". The ultra fair will have better luck with this. For anyone who is an NC15 or darker, this shade is not for you. 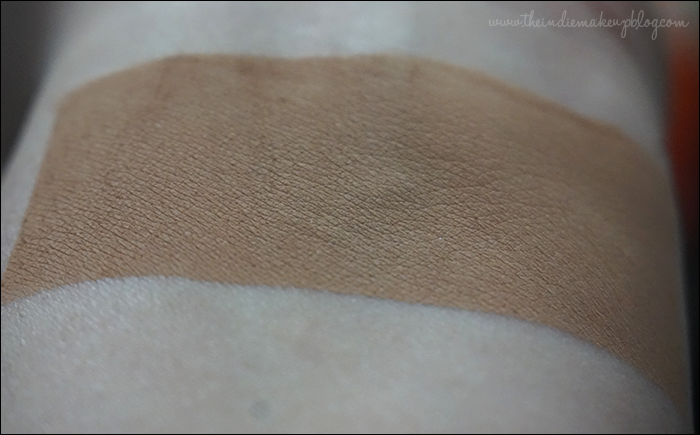 Brija offers a darker bronzer called Chai Cupcake for those who need a darker shade. All in all, I'm happy with the quality and performance of the lipstick, eyeshadows, and highlighter. The bronzer is nice too but unfortunately is too light for my skintone. I definitely want more lipsticks and eyeshadows. They have a collection full of duochromes inspired by Dexter just calling me name! I'll be posting some looks incorporating the stuff I got in the next few weeks. Will any of you be placing an order with Brija soon? Let me know in the comments! Mistresschi13 is where I first got interested in Brija too! I'm glad to hear you like the formula so much. I'm on a bit of a low buy at the moment, but once I'm done, I'm definitely picking up some lipsticks and eyeshadows. I love her themes! Ursula, the Red Queen, Dexter and Harry Potter are all wins in my book.